At Google's I/O developer conference in early May, the search engine behemoth laid out its upcoming plans and products. Here's what Google managers told us was coming and how their upcoming changes will affect your e-commerce brand. Hint: It's all about intelligence, simplicity, and digital wellbeing. And it starts with predictive AI. Google Photos - Expect Google Photos to recognize the people in your photograph and suggest sharing it with them. 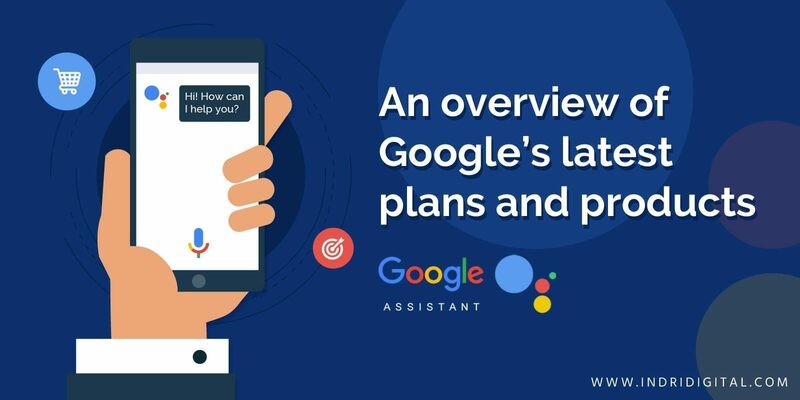 Google Assistant - The personal robot will get easier and more natural to talk with. Google Assistant now powers more than 5,000 types of devices and supports 30 languages in 80 countries. Continued Conversation Experience - You won't have to say "Okay, Google" every time you want to chat with the search engine. Google Assistant Experience for Families - Parents worry their kids are getting in the habit of being bossy, since you don't need to say "please" to Google. That's changing. Google Assistant will soon compliment you when you say "please." New Visual Experience - Later this year, Google Assistant will give you a visual snapchat of your day. Google Assistant will soon be able to call a business and schedule an appointment for you. What does predictive AI mean for your e-commerce brand? By putting Artificial Intelligence to work, you can predict what your customers will want - from the macroscale down to the level of the individual consumer. Ironically, machine learning also lets you engage with your customers in a more personal and valuable way, recommending the right products with the right message at the right time. Predictive AI will also help brands identify customers, answer their questions, and retarget them for sales. Fear Of Missing Out (FOMO) drives response. What makes us feel like we have to respond to notifications and texts the minute we receive them? It's FOMO, the fear of missing out. Google wants to help us defeat that fear with what it calls "digital wellbeing." The search engine knows our habits and can use them to help us power off our devices, take breaks, and connect with the people in our lives who matter. For instance, YouTube will soon admonish you to give the videos a rest, and you'll be able to see how much time you're spending on your phone every day. Google gives people as much information as possible to help them turn loose of the internet. What does "digital wellbeing" mean for your e-commerce brand? Digital wellbeing has two components: attention and ethics. Google wants to help users pay closer attention to work without every buzz, ping, and ding distracting them. Ecommerce brands are also competing against a short attention span and a thousand annoying interruptions. That means people trust word-of-mouth recommendations, newspaper ads, and customer reviews more than ever. They avoid the marketers who are jamming new info under their noses and instead focus on their friends. So you need to become one of those. Ethics, the second component of digital wellbeing, relates to consumer expectations. Despite the pervasive sense that we live in an ethically dubious culture, most people are conscious of the moral impact of their purchase power. As a brand, you can let your ethical flag fly while still being humble, sincere, and inoffensive. Google is getting more personal so it's getting simpler. Google News will show you the information you care about. The longer it observes your reading habits, the better it will get at showing you what you want to know. While that might disturb social ethicists who are already concerned that we live in a series of small echo chambers, it also means Google is getting uber-personal. Plus, it's getting social. In Google Maps' new version, you and your friends can vote on the entertainment choice of the night. On top of that, you can even wave your phone's camera around to navigate yourself right into street view. The technology is complex, but the user experience is getting simpler and more personal all the time. What does a simple, personal, and social experience mean for your e-commerce brand? Make your website, email campaigns, and retargeting ads as personal as possible. And make your checkout experience 100% intuitive. Watch your cart abandonment rates drop, too, when you do that. Finally, consider ways to make online shopping a social experience between friends. Expand beyond the customer and the computer screen. As Google's technology grows more intelligent and intuitive, your e-commerce brand needs to follow its lead. You don't have to keep up with the technological innovations, but you do need to make sure your customer experience is identical to what internet users are coming to expect from the biggest online company in the world. Do you want the PDF version with even more resources? Get the latest strategies to increase sales and leads.